There's an underlying extract and density to the wine that emerges as it opens in the glass. Fruit and savory aromas are beautifully intertwined. 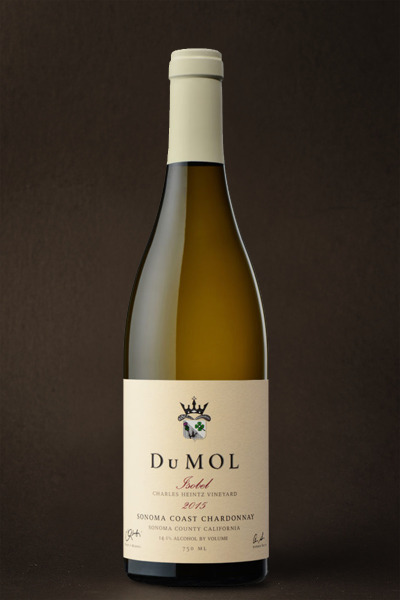 White nectarine, tangerine and citrus with oyster shell, flint and briny freshness. The intense layered palate unfolds, tangy citrus oil and sweet apricot then beeswax and almond paste richness. Fragrant lily and jasmine and a subtle lemongrass edge. Poised and vibrant then broadens and deepens with great viscosity. Grapefruit and ginger spice acidity on a penetrating lengthy finish. A truly “alive” dynamic wine that perfectly balances intensity and richness, complexity and power. This is our sixteenth year working with this vineyard and one of the most memorable bottlings, most closely resembling the delicious 2009 vintage which is at its peak right now. The wine is a blend of vines grown on shallow marine sandstone and richer/deeper clay and we can trace the savory-fruity interplay in the wine to these soil variations. The sandstone portion is botanical, minerally and pithy and is complemented by the clay portion's deep richness, volume and breadth. Great thrust on the palate and a deep, penetrating intensity course through the wine. The hallmark Charles Heintz Vineyard notes of truffle oil and sweet hazelnut will emerge with time. Expect aging potential of eight to twelve years.